In 2016, Theresa May was appointed to be prime minister of Britain, and Donald trump was elected to be president of America. Both of these people have large amounts of power in politics, and quite frankly, it’s a monstrosity. Although she claims the naughtiest thing she’s ever done is run through fields of wheat, the prime minister has done far worse. May is willing to make fox hunting legal, after it became illegal due to animals suffering. Furthermore, the NHS continues to struggle due to lack of funding and there are at least 250,000 homeless people in Britain, yet in September, parliament announced that they were going to double the funding of the renovating of Big Ben to 61 million pounds. This is not a priority for the proletariat. Catch up Theresa, there’s more important issues to address. America, one of the most powerful countries in the world, you’d think the president would be politically knowledgeable. Nope. No one told Donald Trump that. After Obamas legacy and commitment, America is left with a racist, sexist, twitter ranting maniac who doesn’t believe in global warming. This man has halted refugee admissions and enforced travel ban on Muslims, stopped transgender people joining the military, and even provoked North Korea. 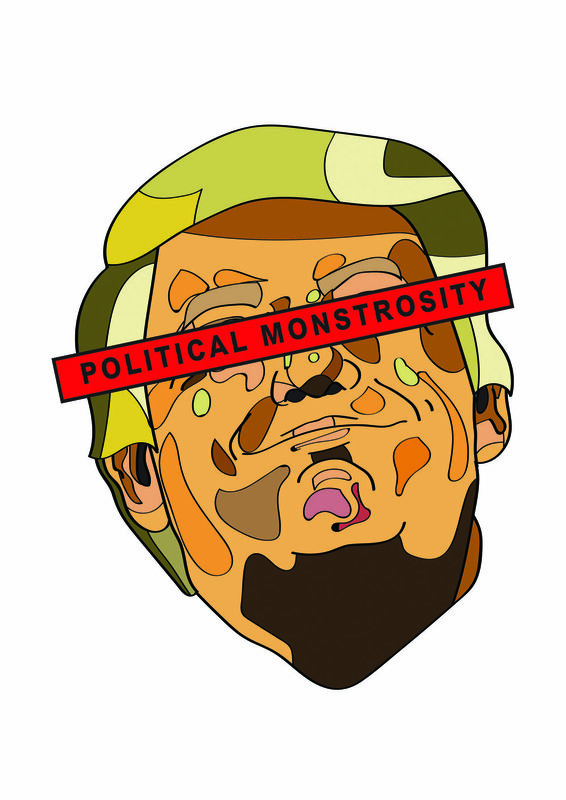 I have created these pieces to highlight this bizarre political era in which we live. It is important that we choose more carefully who we let govern our countries. It’s time to stop letting idiotic and old fashioned politicians do as they wish, it’s time for some fresh thinking. Vote smartly because our futures depend on them.